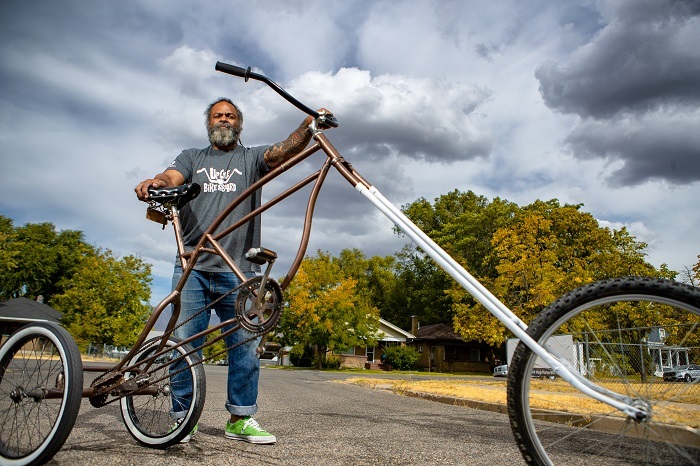 If you’ve noticed some strange bicycles around Ogden lately, you probably have Mark Johnson to thank. 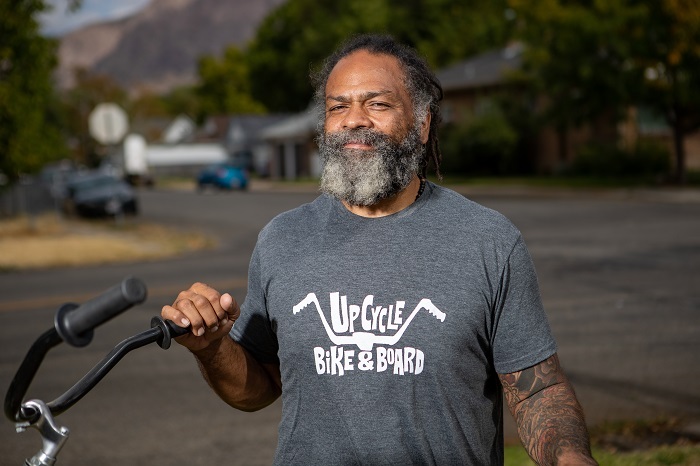 Johnson, a jiu-jitsu instructor who taught English at Ogden High for 21 years, has been building custom bicycles out of old parts and other salvage for his new company, UpCycle: Bikes and Boards. “My buddy was making bikes out of old bikes so I bought a couple from him. I’ve always liked bikes. Who doesn’t? So I thought I’d like to make bikes with just junk, old stuff, so I started talking about it with my girlfriend, and we said, you know what? Let’s go ahead and try it just for fun,” Johnson says. The fundraiser also featured other races, henna by a former Ogden High student, comedians, a silent auction, and the debut performance of a local metal band. The best part was seeing the bikes Johnson has already made. My favorite was the Mastodon, which looks like a tricycle on stilts. If you’re interested in purchasing a one-of-a-kind bike, donating a bike or parts, or learning more, contact Johnson on the UpCycle: Bikes and Boards Facebook page.